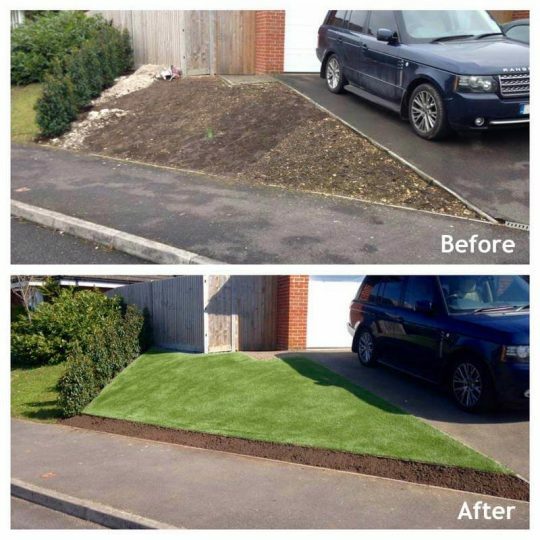 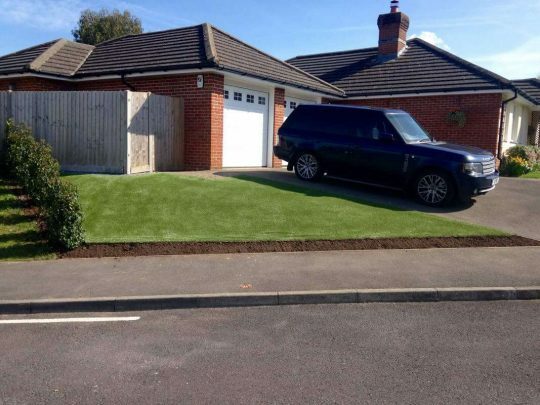 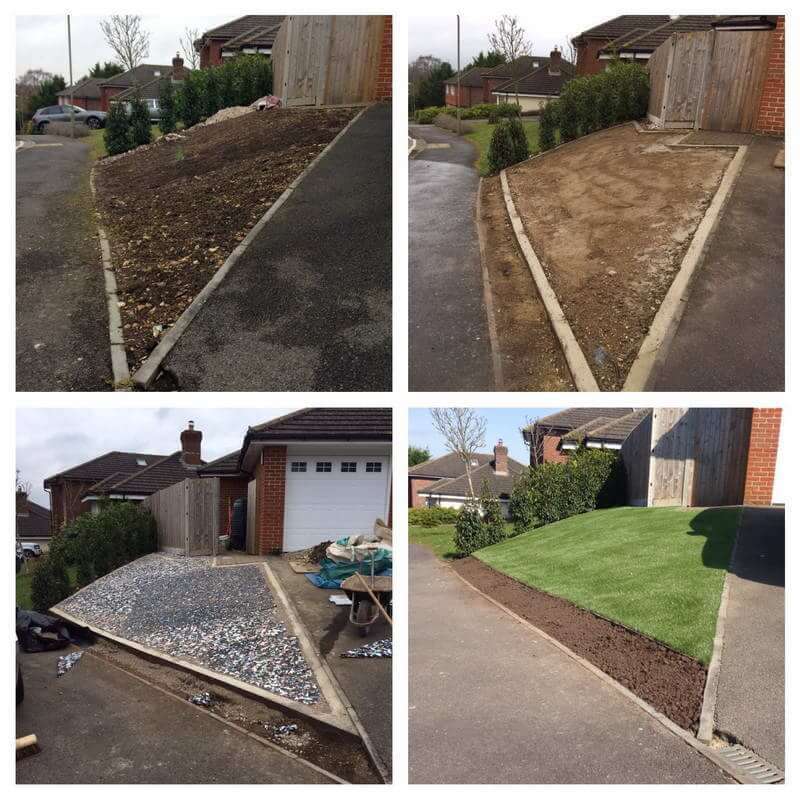 Buds were asked to replace our clients grass bank, where the grass was patchy and they struggled to mow it. 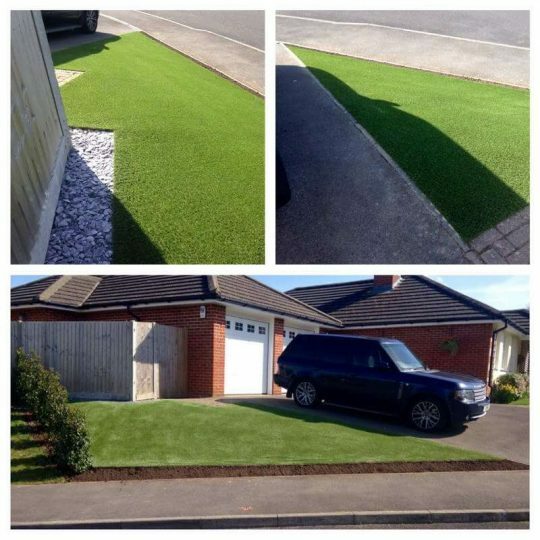 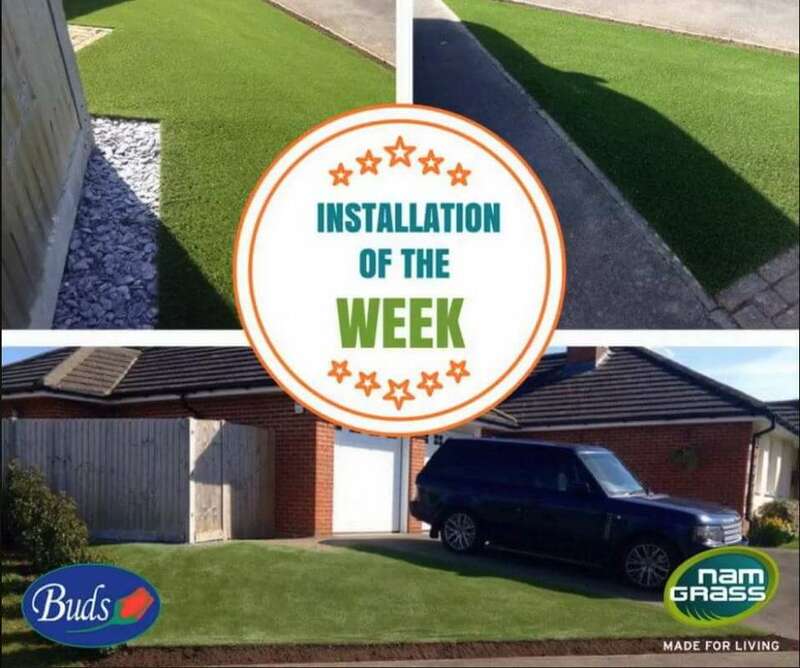 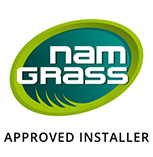 We fitted a new Namgrass Meadow artificial Lawn with Everedge to retain it. Below it, we left a gap for planting, plus plum slate was added across the top.